*Holiday hours may vary. Please call store for details. Be the first to know about sales, new arrivals and more. 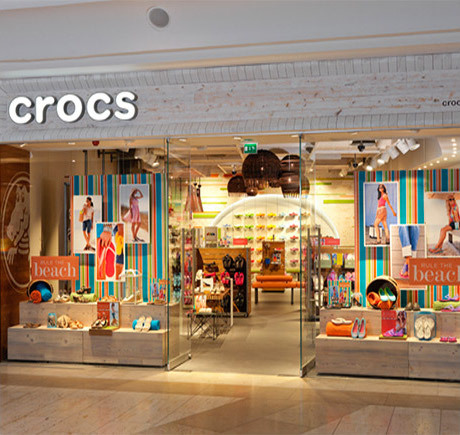 Visit our Crocs store at Camarillo Premium Outlet in Camarillo, CA for the latest Crocs footwear and accessories. Call 805-484-1711 for more information, or visit us at 620 E Ventura Blvd. #1302, Camarillo, CA 93010. Suuuuper comfortable right out of the box. I'm a nurse and always looking for good shoes. Not a happy camper nursing with plantar fasciitis, but these make life bearable. Life changing comfort for sport and leisure! I haven't worn another shoe since getting these! They light up! My kids are so happy! Great purchase! Super cute! My four year old loves these and they fit great.